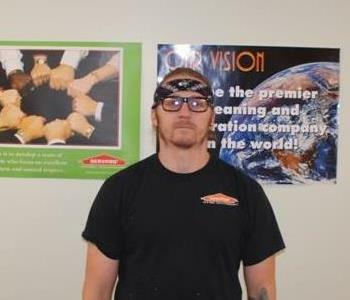 Danny is a Production Technician at SERVPRO of North Central Austin. Danny's strong drive and attention to detail makes him a valued team member. He has completed our rigorous SERVPRO Employee Certification Training Program. This program teaches advanced cleaning and restoration techniques and how to properly use our state-of-the-art equipment. This training also emphasizes listening skills, customer service, and exceeding our customers’ expectations.